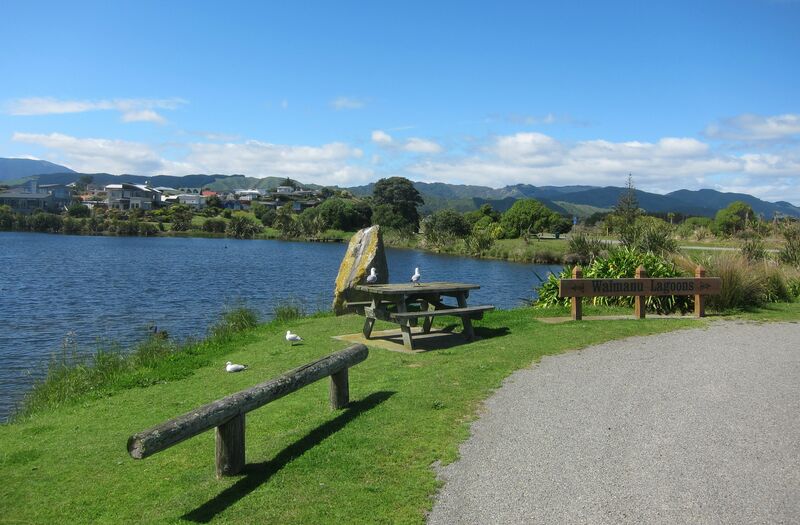 The most searched for post on this blog is the one dealing with the effects of the Expressway on Waikanae and commercial development opportunities west of the Expressway route are certainly behind it. Although the local developer quartet have their notions — the comment in the feedback mentioned below ‘there was a lone call to “stop prescriptive measures in the PDP/SEV (let us live! )”’ was probably made by one of them — they are not the only ones; big Auckland-based developers are involved, too. Do you want that? If not, the time to start mitigating their impact with a comprehensive official policy is now. The council can’t stop developers from buying properties, but it can tell them what they can and can not do. of urban form, land use planning and consenting processes, and traffic and transport planning and management. We’ve pulled together a document, attached, which summarises the rich and interesting feedback you have given us regarding what you love about Waikanae Beach and what your concerns are for its future. We’ve done our best to ensure your input is captured somewhere (even if not exactly in your words) under a number of themes. 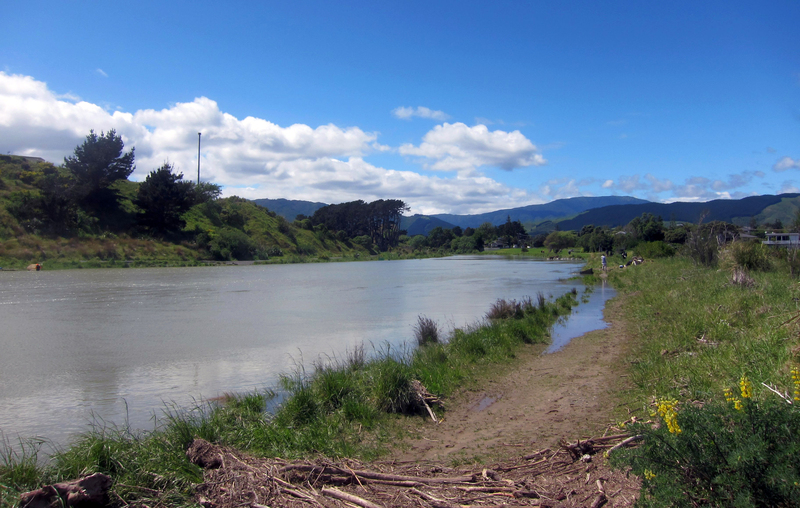 We’ve set up the forum specifically for the use of Waikanae Beach residents and property owners to discuss ideas for the future and see how everyone else feels. We’ve started the ball rolling by posting the document summarising the drop-in themes. Now it’s over to you. Council will participate in this discussion as well. 1. to choose a user name. Please use your preferred name and last name initial, e.g. 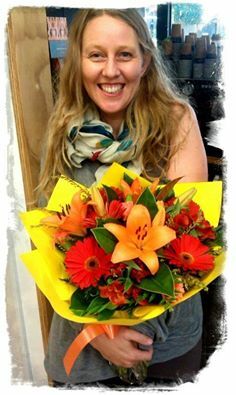 Alison L or alisonl. You must e-mail it from the e-mail address on the registration form. Please note that your physical address information will only be used for the purposes of registering to participate in this forum. It will not be used for any other purpose. Lastly, just a reminder to keep the evenings of 10 and 18 November, and the afternoon of 29 November free. On Tuesday 10 November, an expert will talk briefly about the design of urban form – what tools are available and what issues need to be considered – and then answer questions. This will include some discussion of examples of special character areas. On Wednesday 18 November, Council planners and an external expert will talk about what can and can’t be done with land use planning and consenting processes. Bring all your expertise and questions about the complex world of land use planning. On Sunday 29 November, experts from the Council and external organisations will talk about traffic and transport planning and management including cycleways, traffic calming measures, and what modelling has been done of the Expressway impacts. Greater Wellington Regional Council will also have someone present to answer questions about public transport services. We will confirm details of these sessions (time and venue) very soon via e-mail and the online forum. The rain over the previous two days made the flow of water strong and muddy, and as well as being noticeably swollen there were some vegetation debris and large puddles visible on the Otaihanga Bank, the standpoint of this pic. No doubt if there is no rain over the next two days it will be back to normal. Whitebaiters can be seen in this pic also. The season began this year on 15 August and lasts till 30 November. 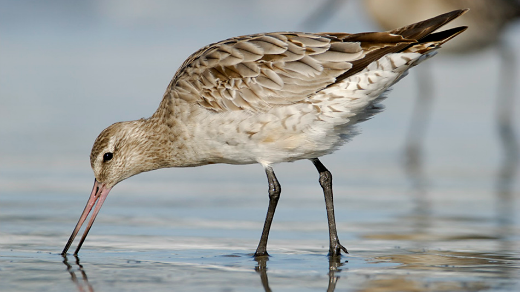 In the annual vote organised by the Forest and Bird Protection Society the kuaka won the highest number of votes, by a significant margin, of the 52 nominations. 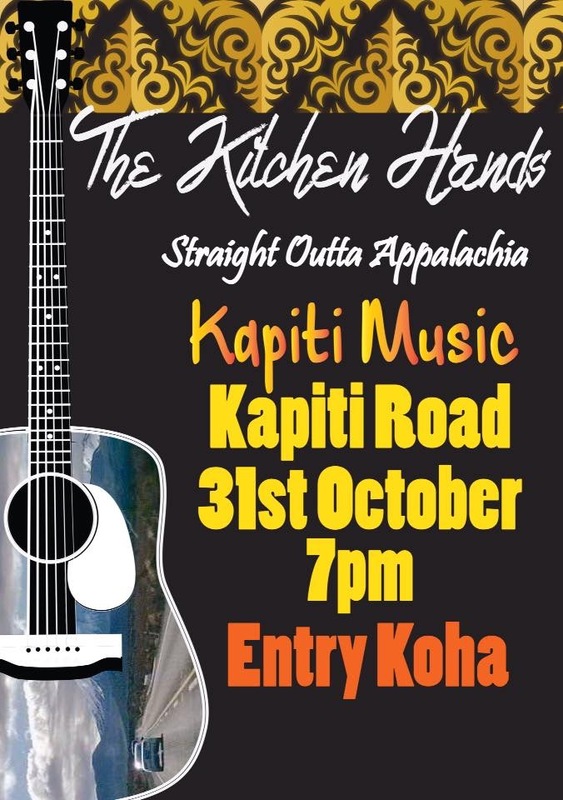 Kapiti Music & Photo on Kapiti Rd [Paraparaumu], just down from the Z Service Station are hosting monthly live music gigs. ~ an on-site servicing department for guitars and amplifiers. At the rear is a large room which is an artists’ exhibition space and also a live music venue. 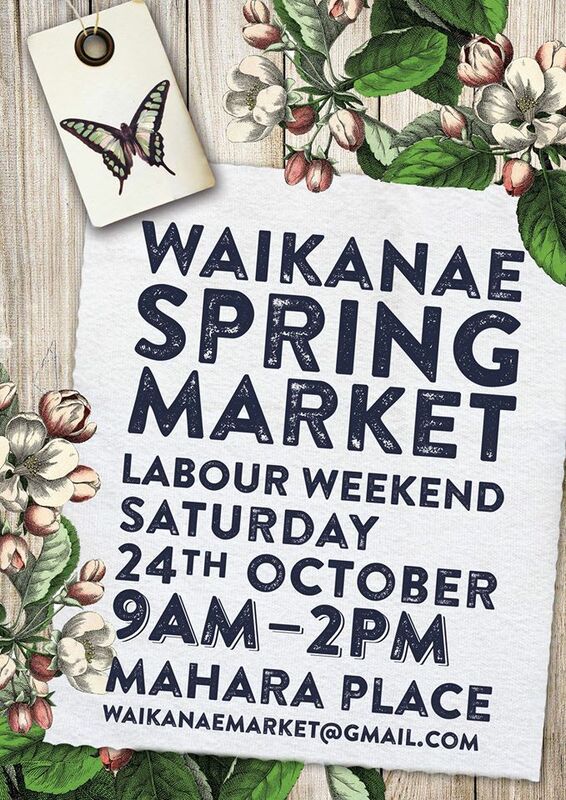 We mention this because it is a venue that will be very convenient for Waikanae Beach people when the Expressway opens, and there is nothing like it in Waikanae now. As mentioned earlier, property developers who are eyeing up opportunities in Waikanae Beach are well aware of it, too. For our overseas readers, “koha” on the poster is Maori for donation. A splendid 1928 Chrysler convertible. As mentioned in the previous post, this museum is at Otaihanga about 4 km south of Waikanae and easily accessible from State Highway One. Afer the Expressway opens, however, its patronage may suffer like the shops in Waikanae off the present SH1. a year of Siggy’s Pies! 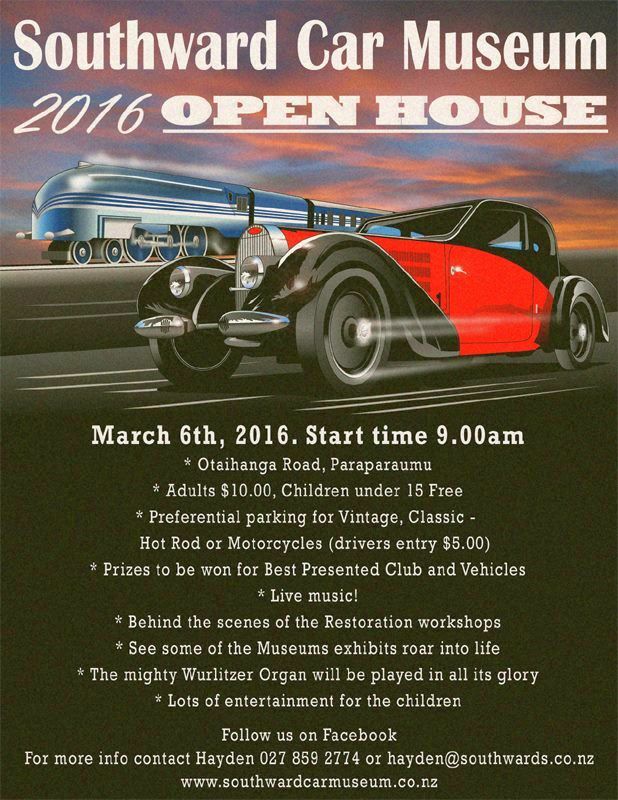 The weather forecast looks ok.
It’s over 4 months away, but Southward Museum in Otaihanga, just south of Waikanae, has begun advertising this event. 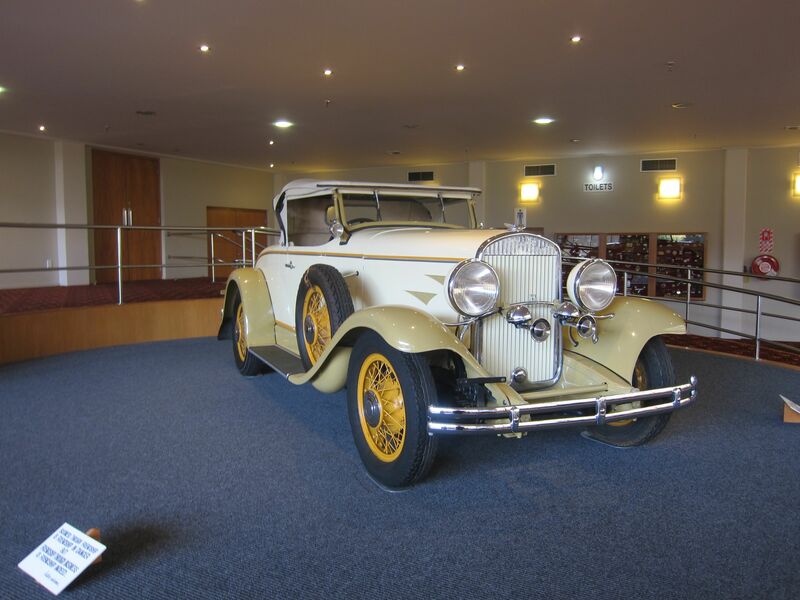 This is a great car museum, and the collection doesn’t just feature some very rare cars but some aircraft and other historical items. In the grounds outside, a few hundred privately owned classic cars will also be featured. 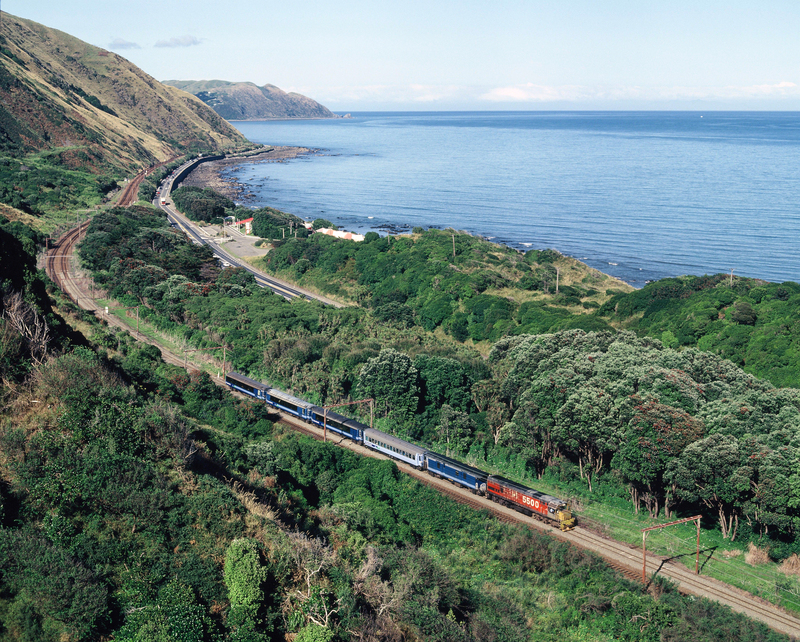 A photo looking south, showing both the road along the Pukerua Bay shore and a long distance passenger train, probably bound for Auckland, taken a few years ago. Officially the Kapiti Coast begins about 1 km further along this road and ends north of Otaki. 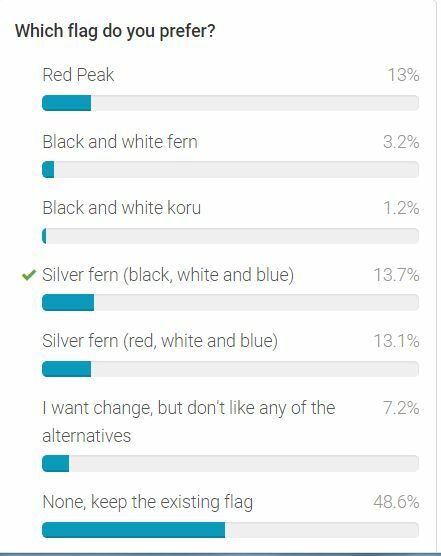 Members of the Neighbourly website will have noted a vigorous debate between supporters of the existing flag and those who prefer changing it, and the two camps are about evenly split, after some 1400 votes. 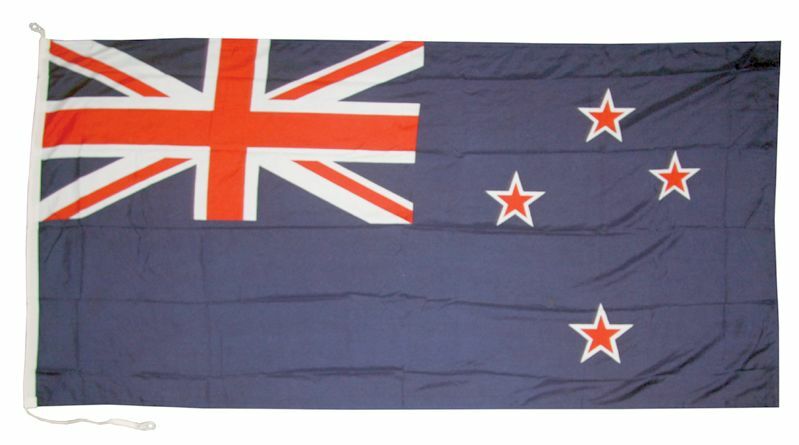 We are on the side of those who think NZ needs a better flag than one which looks like a communist version of the Australian flag. If the results of the poll are reliable, the Kyle Lockwood black flag (pictured) has the slight edge over the red and blue version.